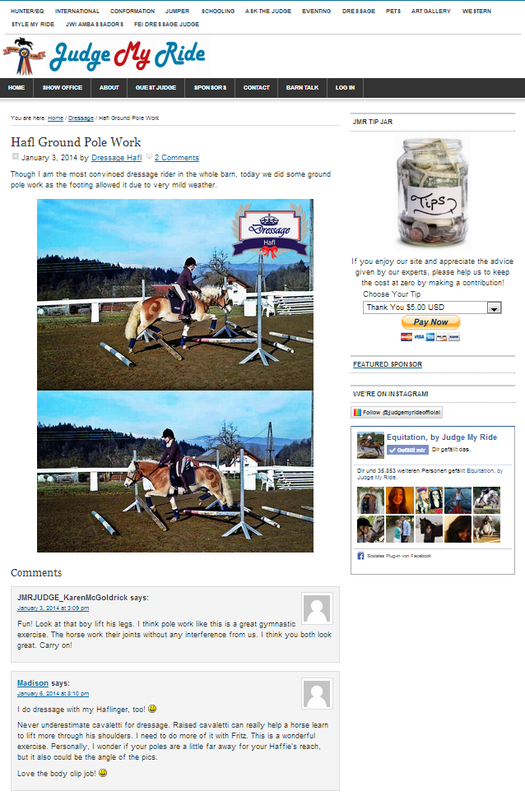 I posted Hafl's ground pole screenshot on judgemyride.net and got a nice comment from JMR judge Karen McGoldrick. For her, ground poles are a perfect gymnastic exercise! Another Haflinger rider also stated that she likes doing ground poles and cavaletti with her Haflinger. I guess at least bi-weekly we will keep on working with ground poles as long as the footing allows it - there is still hope that there will not be real winter here this year!